When we start up our service based business online we are full of hope. We envision having a flood of clients who are hungry for our services. Instead we find ourselves in an endless struggle between delivering and finding new clients. You see, when we are servicing our clients, we are looking for more to fill the pipeline. And when we are servicing them, we typically aren’t looking into the future. I know that was certainly the case with me. And in some regards it still happens. I spent a lot of time delivering. And when there was nothing to deliver, I could go into reaction mode looking for clients. Personally, I was never an extravert and always felt awkward asking for work – more on that another time. What we need is a way to keep the pipeline filled. Through my time online, I have referenced a few good resources on getting and maintaining clients. So now I’m going to list these resources for you. I first heard about this resource from Tawnya of VA Networking. It’s a book published by C.J. Hayden and available on Kindle. The great thing about this system is it has a very simplistic marketing approach to getting more clients. For example, you narrow down your options from the many listed and focus solely on that game plan. If reading isn’t your thing, Hayden also has a total immersion course on the topic. Personally I have never attended the course itself. But, if you really do enjoy her course or even book; you might consider becoming a facilitator for the course. If Hayden’s work is something that interests you, I suggest you start by looking at her worksheets here http://www.getclientsnow.com/worksheets.htm and potentially picking up her book on Amazon. You may have come up against this resource before. It rates highly in the search engines. As it’s name suggests, it gives 33 ways to get more clients. But each way is also a topic within itself. So it’s not your typical listicle blog post. Yep, the post itself will give you resources. So think of this as a resource within a resource. From job boards to specific courses on PPC and more. Check it out. My suggestion is to choose one of the 33 methods for now and implement it over the next 90 days. Brennan Dunn has become renowned for his work in the freelancer space. Particularly in web technology. But that doesn’t mean you can’t learn a few things about freelancing from his podcast if you’re in another discipline. I remember reading one of his books called Double Your Freelancing Rate. Boy, this man knows his stuff! Some great insights for positioning yourself. I believe the book is no longer available as a stand alone product and comes packaged with other components. Finally, but not least, we have the Ugurus blog. I totally trust in their wisdom. I took their coaching course a couple of years ago. It was outstanding and truly was a coaching experience. We were placed with a mentor in a group zoom meeting as well as had access to the course. But that was over $3k. If you are starting out, I recommend you read their blog. Some real easy reading and powerful, thought provoking action plans. I’ve come across another resource since posting this, just too good to pass up. Christian Sculthorp of Practice Ignition has written a monster blog post on getting more clients. This is a great resource for any service based provider. There are 61 ways to get new clients in this post and they are grouped into categories for easy reading. I particularly like the section on fixing your website. But there are other, more active ways as well to find clients. 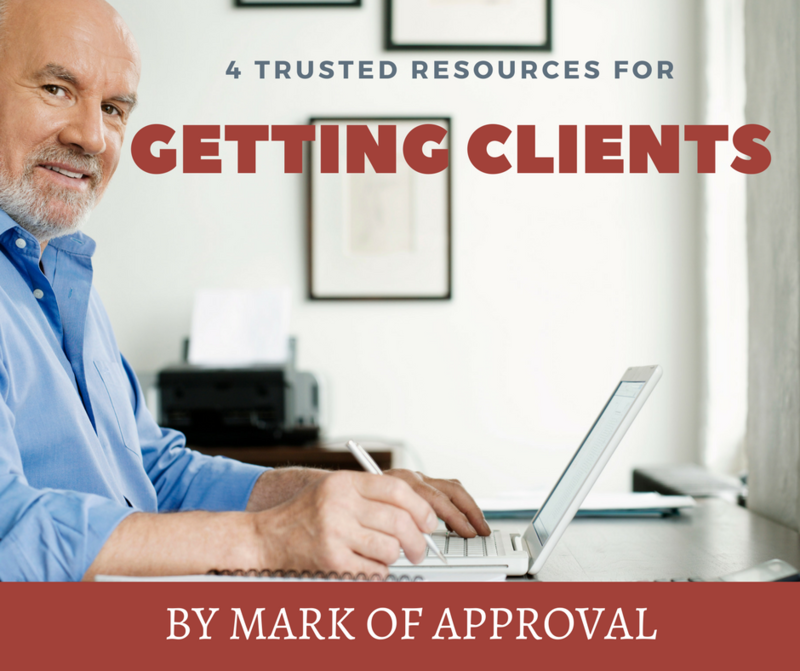 Well there you have my top 4 + 1 go to resources on the topic of getting and maintaining clients. You can learn a lot with the free resources. But I do recommend if you get the cashflow, to invest at some stage in one of these products. If you feel I’ve glossed over any resources, or you’d like to contribute one; feel free to comment below.